With less than a month until the Premier League kicks-off, Football.co.uk begins a rundown of the 20 players you should look out for next season. First up is Wigan Athletic's newest acquisition, Mauro Boselli. 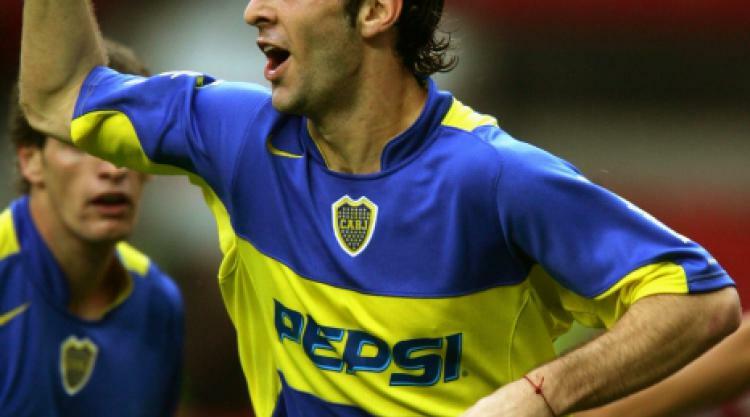 After starting his career at Argentine club Boca Juniors in 2003, Boselli was sent out on loan to Spanish outfit Malaga B in 2005. He made 32 appearances but managed just five goals during his time in Europe, before returning to his parent club. His inconsistent form meant he made just 33 appearances and scored eight goals over the course of the next two seasons, leading to a permanent move to Estudiantes in the summer of 2008. Boselli burst into goal-scoring form at his new club, bagging 32 goals in just 57 games during two seasons. His impressive form led to an international call-up from Argentina boss Diego Maradona, with the first of his two caps coming in a friendly against Ghana in September 2009. Before moving to Wigan for a fee believed to be in the region of £6.5 million last month, the striker was reportedly attracting the interest of clubs such as Manchester United, Chelsea and Manchester City. With excellent technique and an eye for goal, Boselli could be the prolific striker that Roberto Martinez's side have been severely lacking.